This is a variation on the Apple and Elderflower jellies. 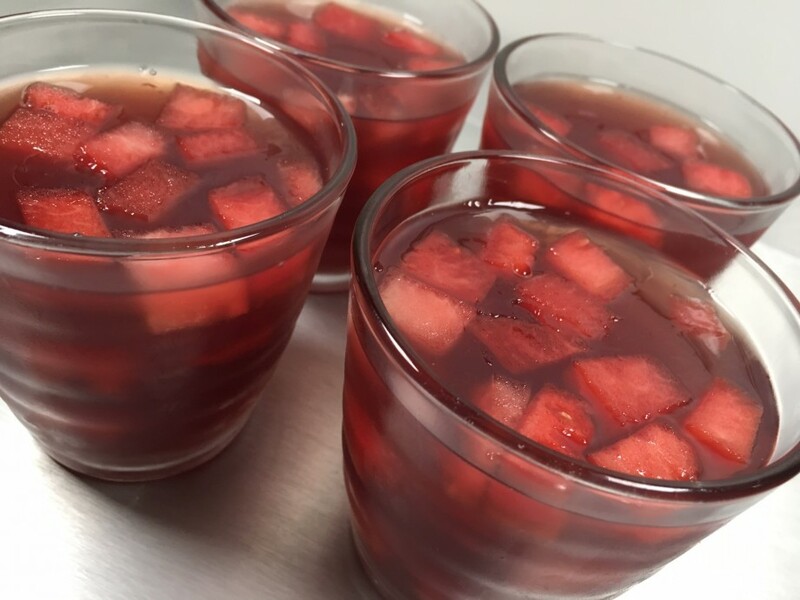 Cubes of watermelon are suspended in pomegranate jelly with the intriguing addition of a little rosewater. I do mean little-if you add too much it’ll seem like you are eating the contents of a perfume bottle. Brands vary greatly in strength so start slowly, drop by drop, and stop when you reach the desired flavour. Meanwhile pour 150ml of the juice into a saucepan and add the sugar. Stir over a low heat until the sugar has dissolved. Take off the heat. Lift the soaked gelatine out of the water and add to the hot liquid. Stir until dissolved. Pour in the remaining juice and rosewater (see intro) and leave until cold. Put a few watermelon cubes in the base of six glasses. Pour over enough liquid to cover the fruit. Chill until just set. 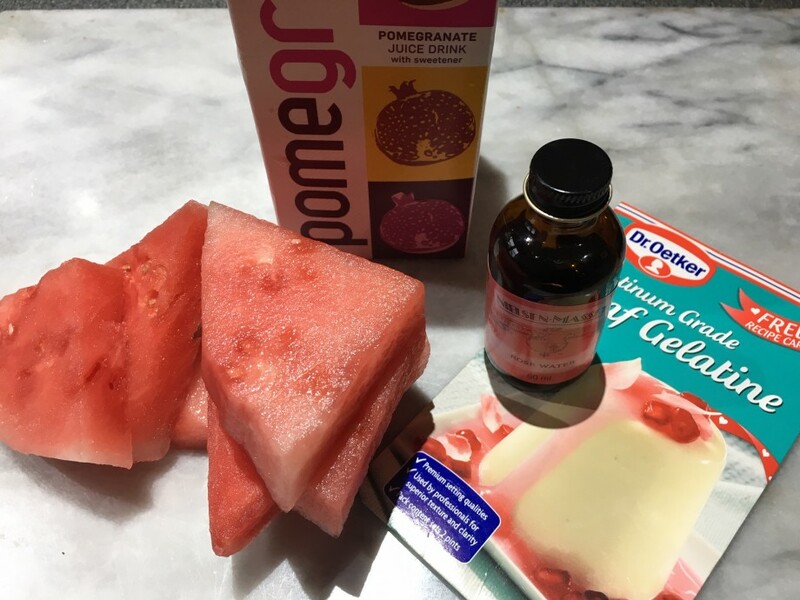 Repeat twice, adding watermelon, covering with juice and chilling until you have used up all the fruit and juice. Chill until set-four to five hours.